My home is decorated for Christmas. It’s cozy and minimal this year, a few touches of burlap and lots of sparkle. Still I can’t help but keep crafting because, well, that’s what I do. It’s so calming and fulfilling to step back and admire something, even something small, that I created. 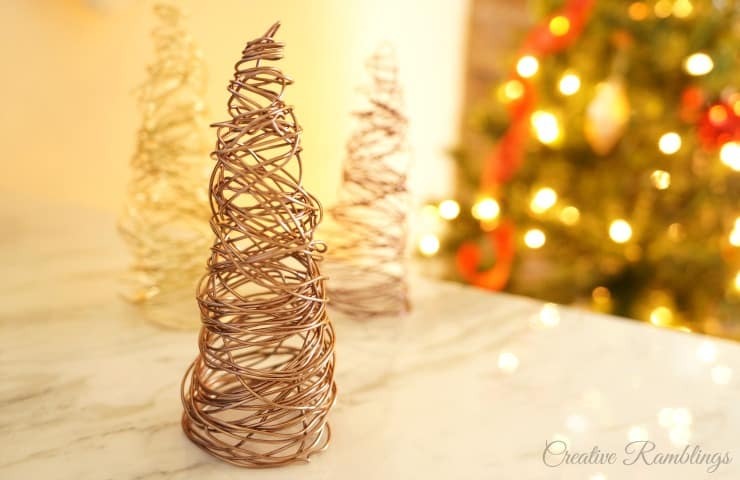 Today I’m sharing these adorable little wire cone trees that I have added to my living room decor. These were so simple to make and you can put your own twist on them varying the size shape and color. 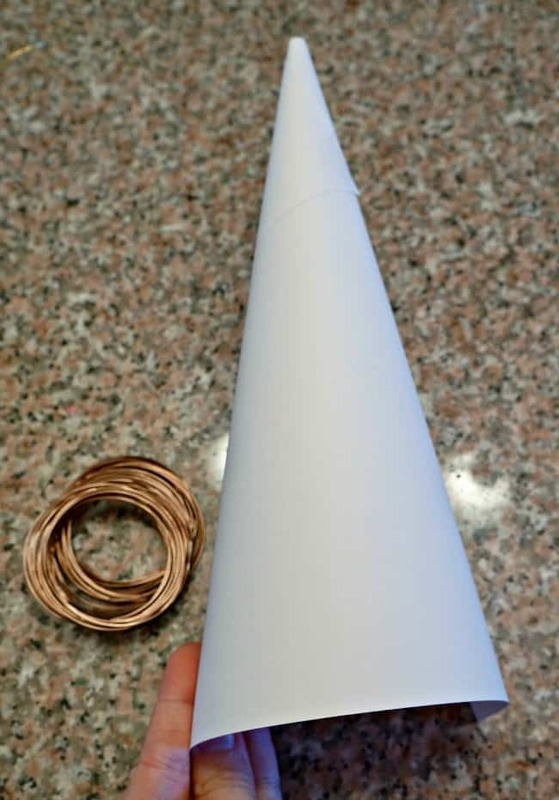 I have made festive cones in years past using cardstock and poster board. Just twist a piece of paper into a cone, tape closed, and cut the bottom flat. 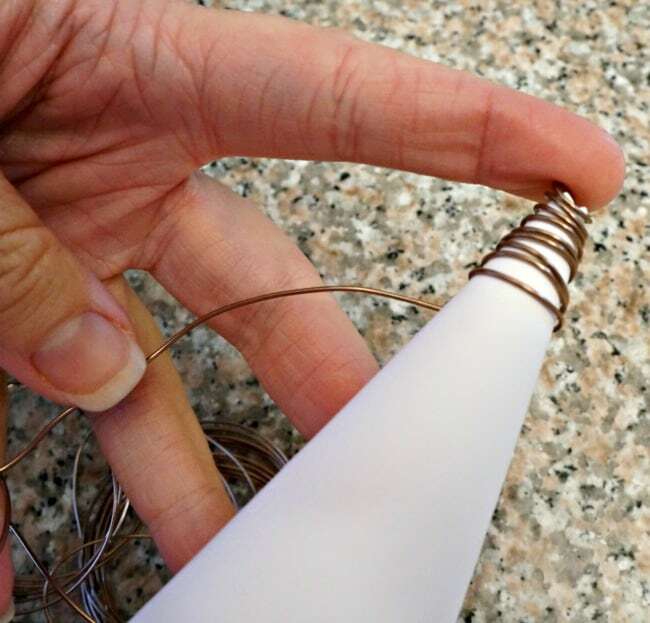 Next, start wrapping wire from the top of the cone down. Be sure to wrap it up and down and over itself to keep it sturdy. 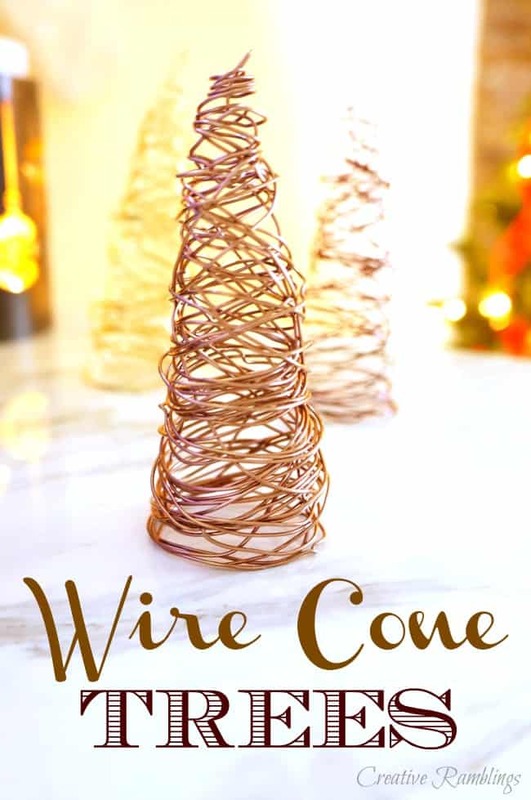 Once you are done cut the wire and slide the little tree off the cone. You can adjust to help it stand up straight after removing the paper cone. A few tips. If you want a single spiral tree use a lower gauge (thicker) wire that will stand on it’s own a bit better. This 20 gauge wire is a little too flimsy to stand alone in a single spiral. 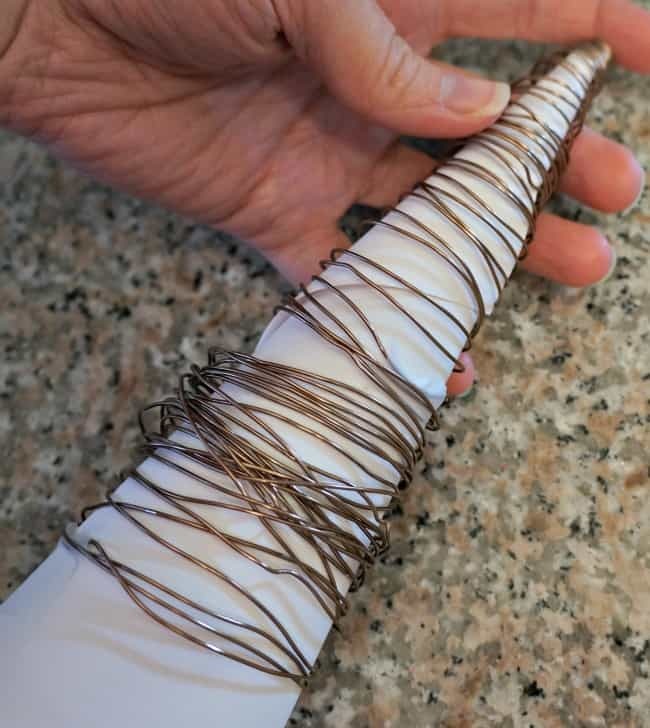 Stick the end of your wire into the top of the cone about an inch before you start wrapping, this will give you some hold as you start to wrap. 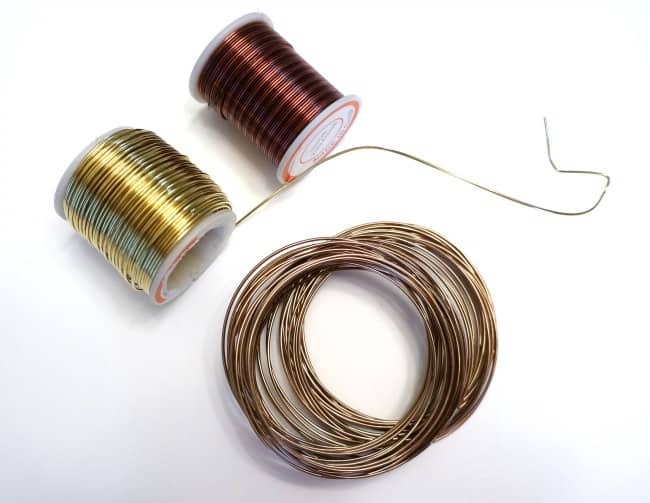 The wire has a tendancy to slip around as you wrap. 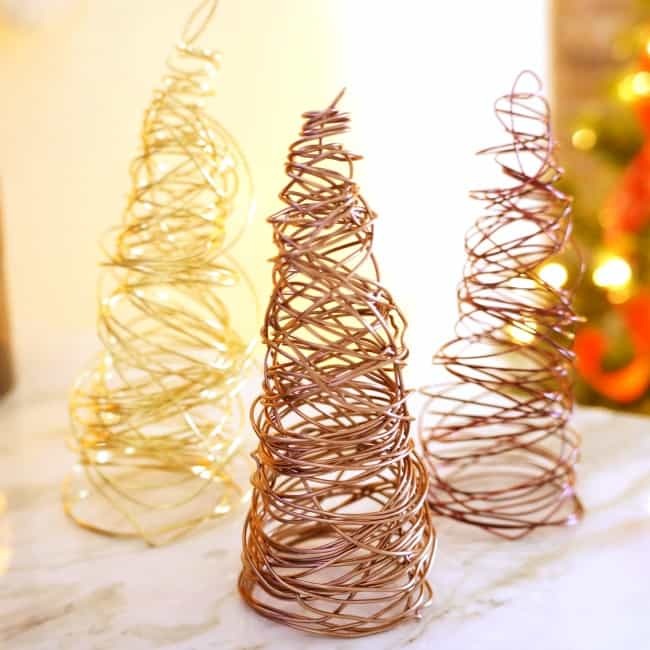 These cones were so fun to make, if I had more wire I would have kept on going. They are sitting right next to my tree and look really cute. Are you a Christmas crafter? What has been your favorite craft this season?